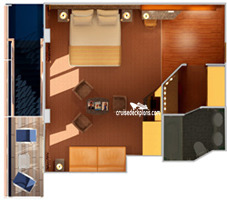 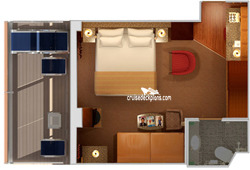 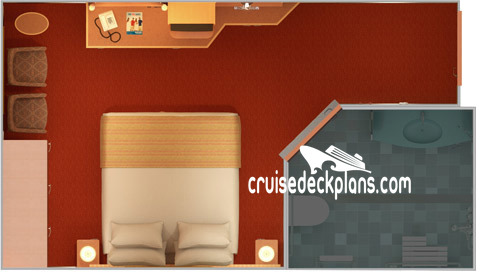 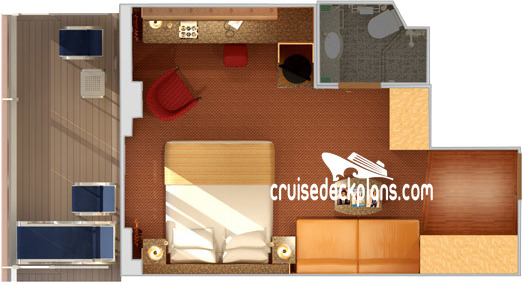 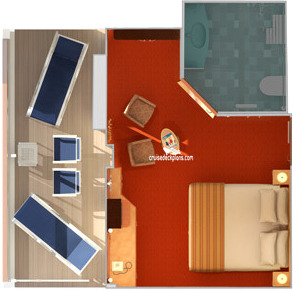 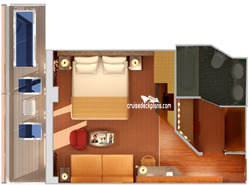 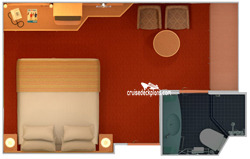 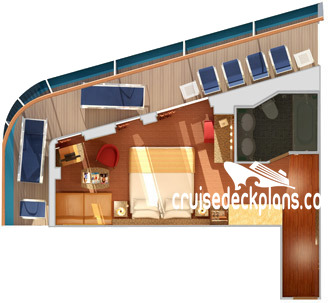 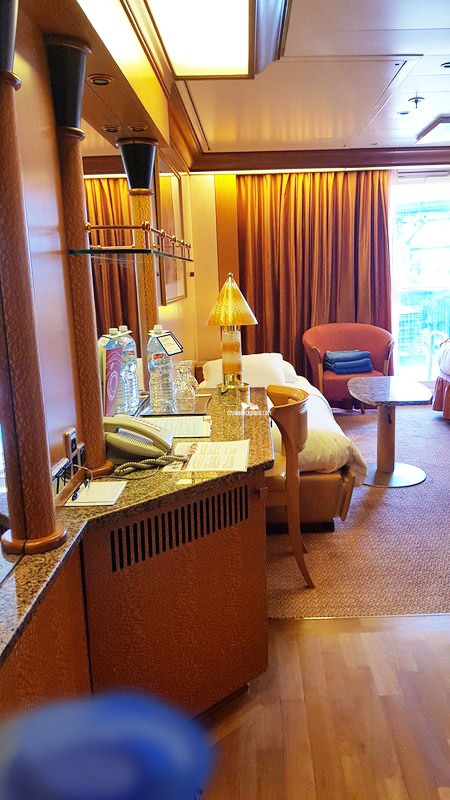 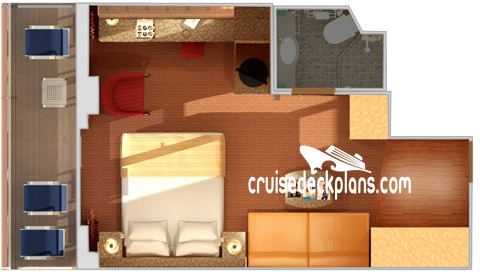 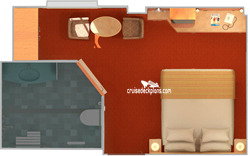 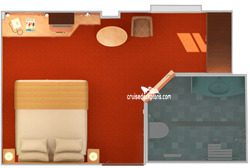 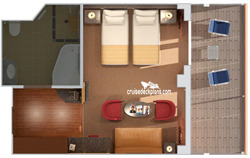 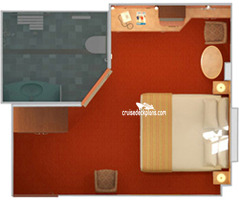 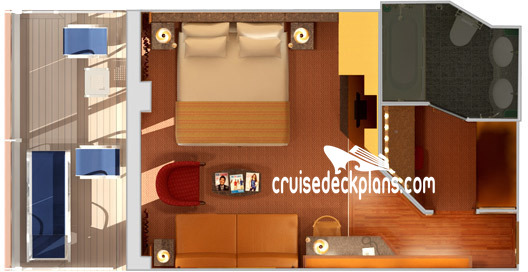 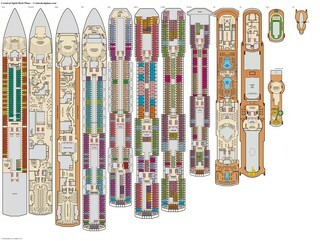 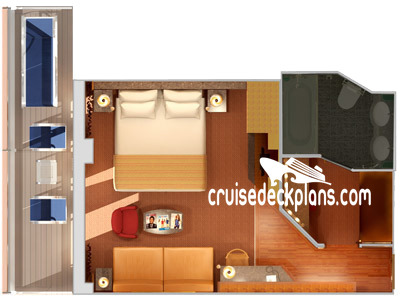 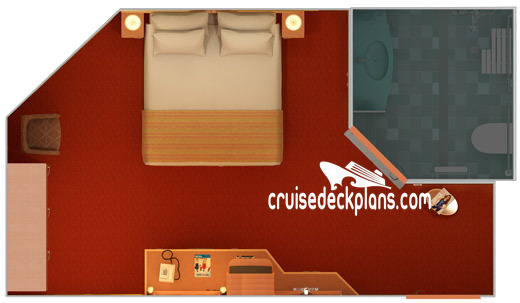 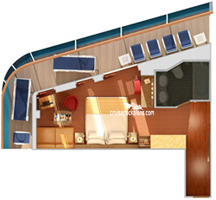 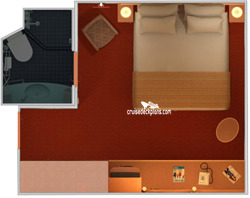 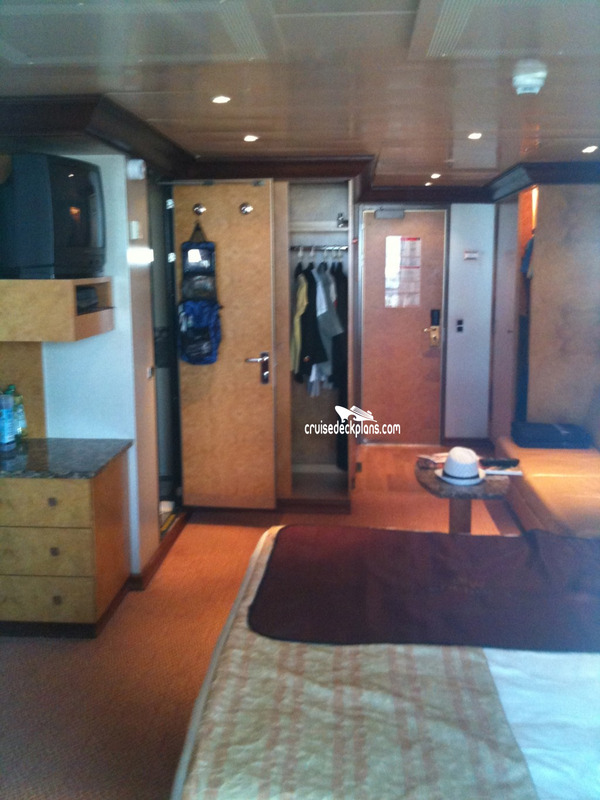 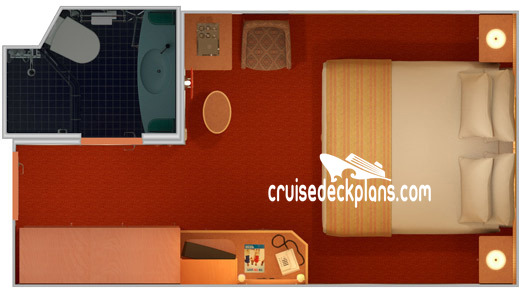 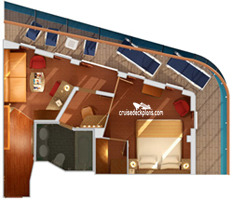 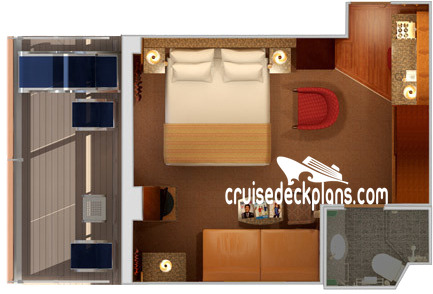 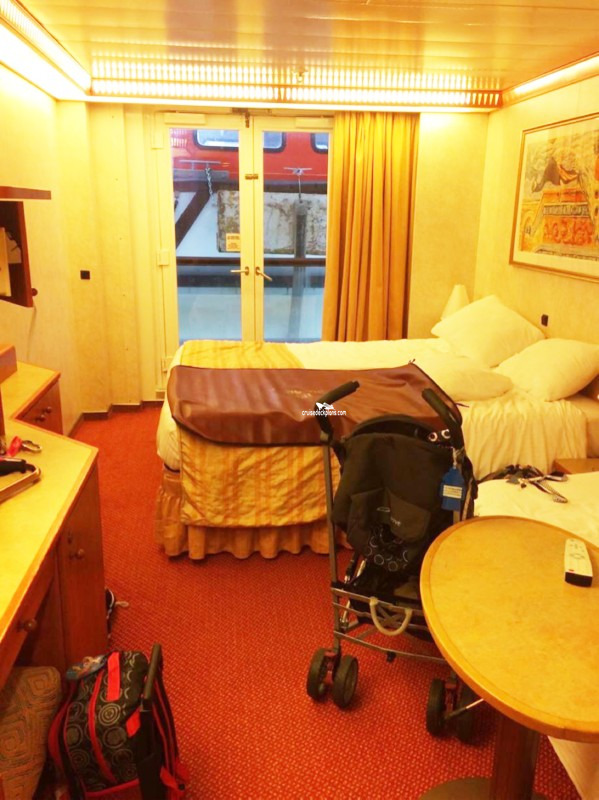 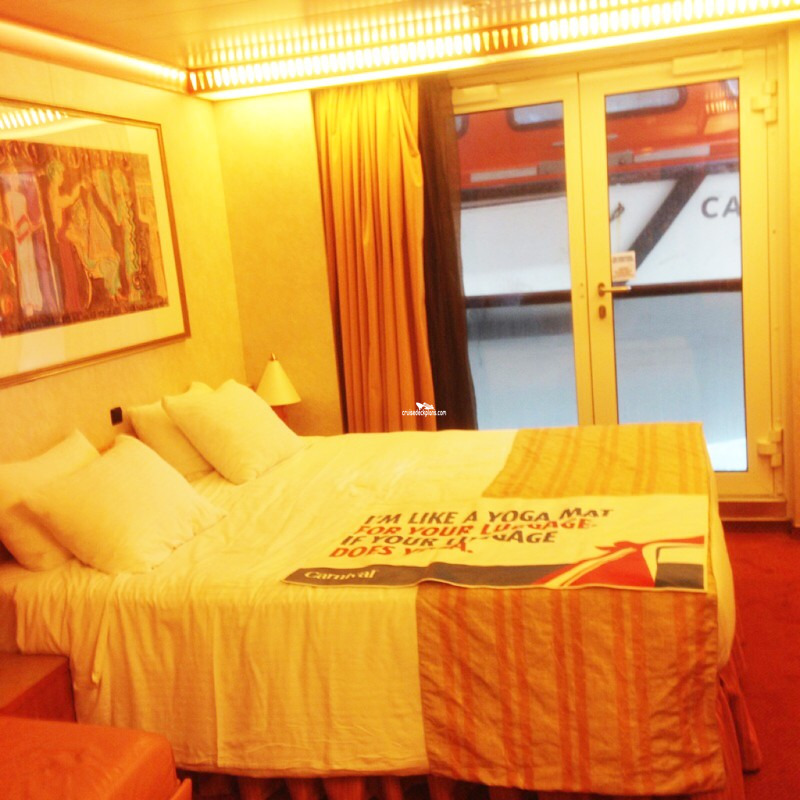 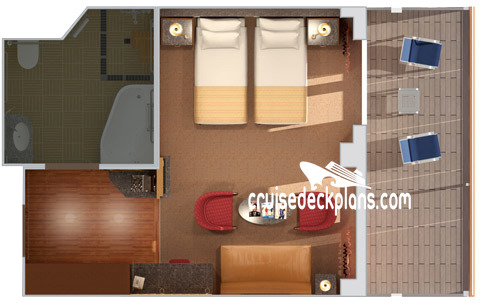 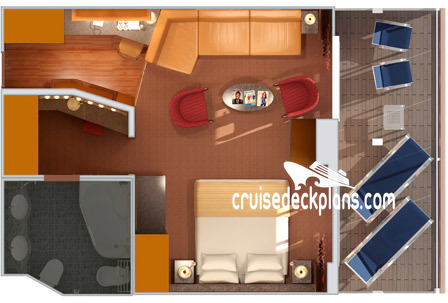 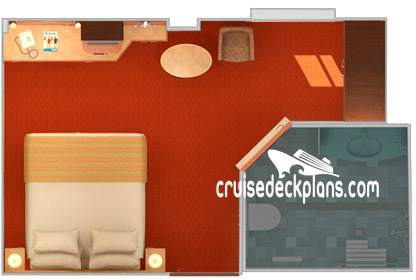 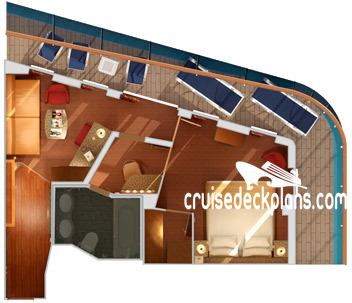 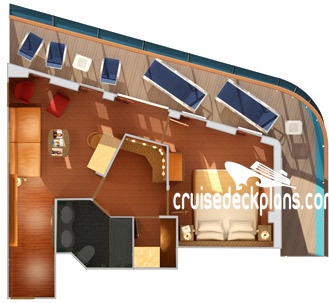 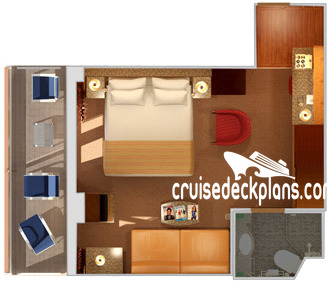 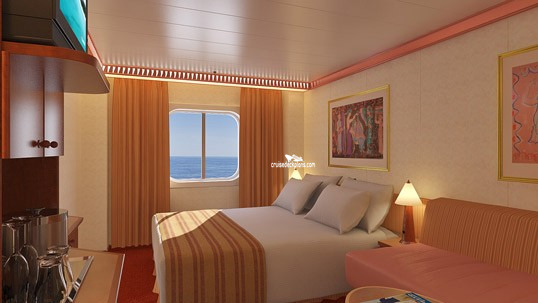 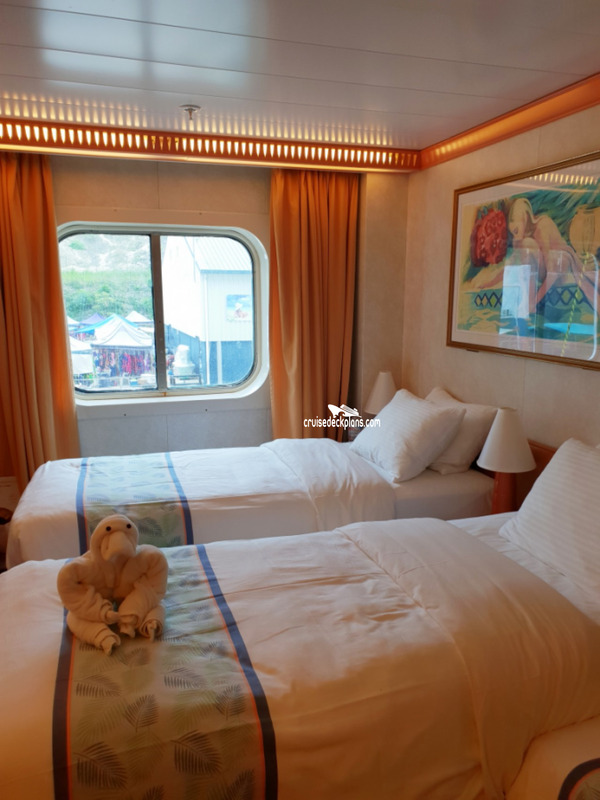 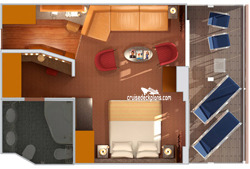 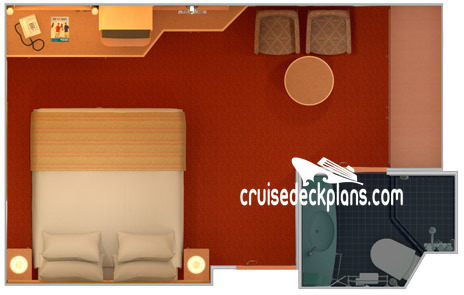 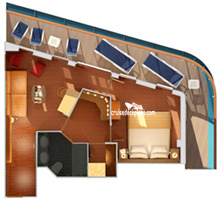 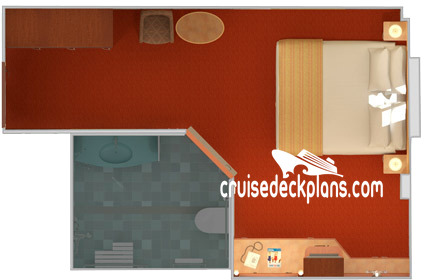 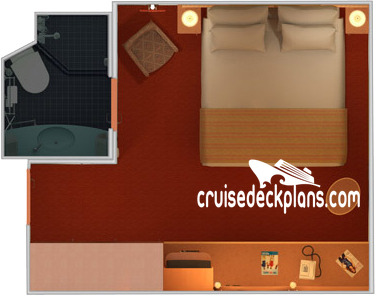 Stateroom 6182 is modified for wheelchair users. 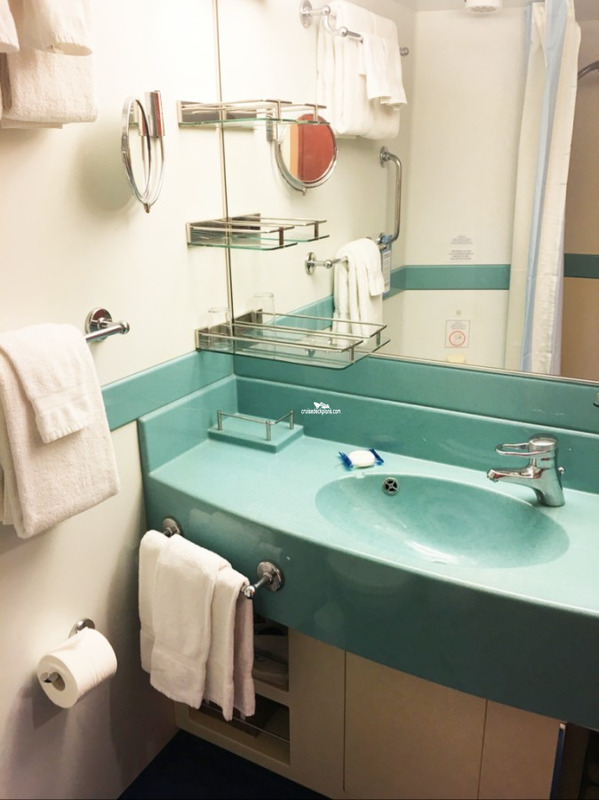 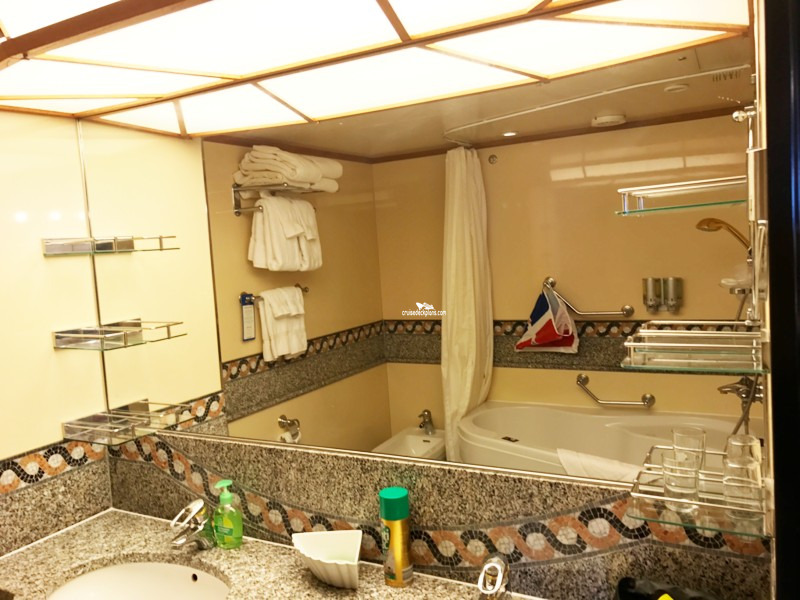 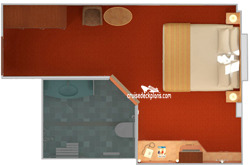 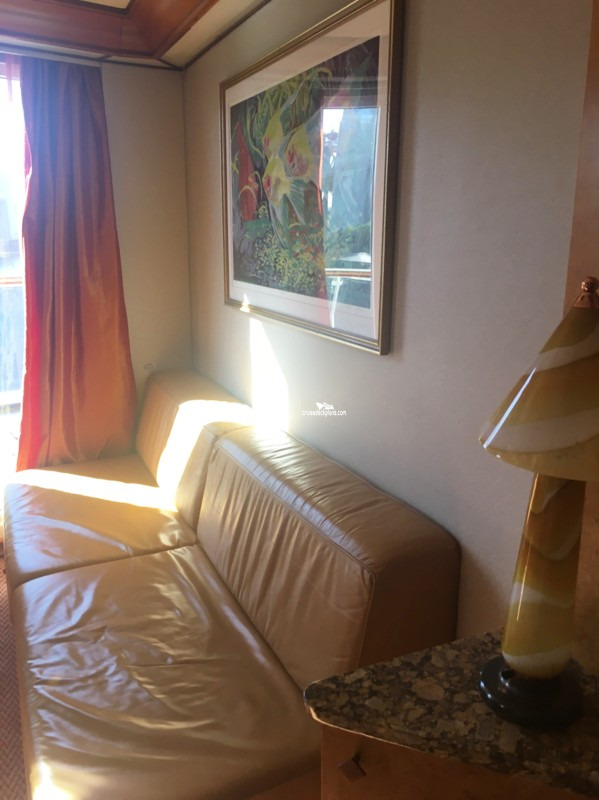 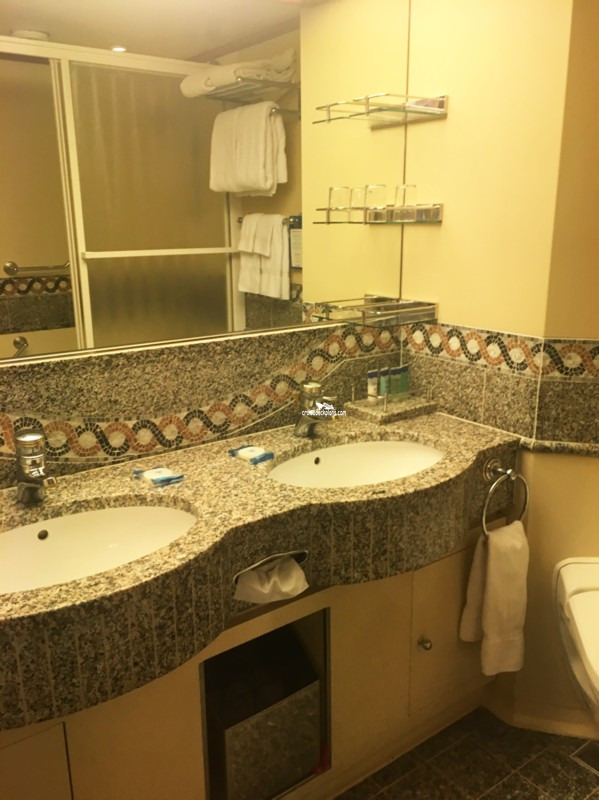 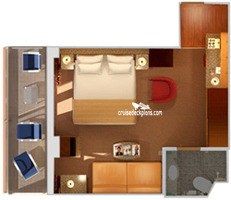 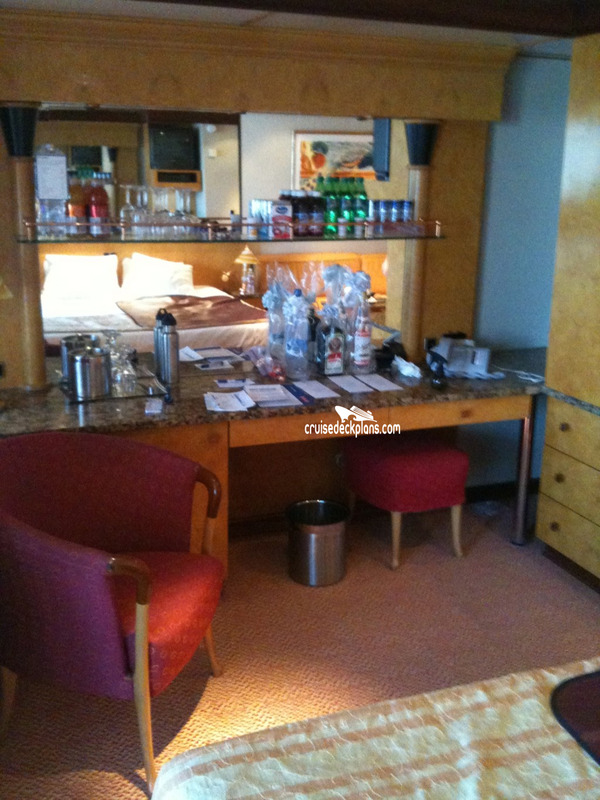 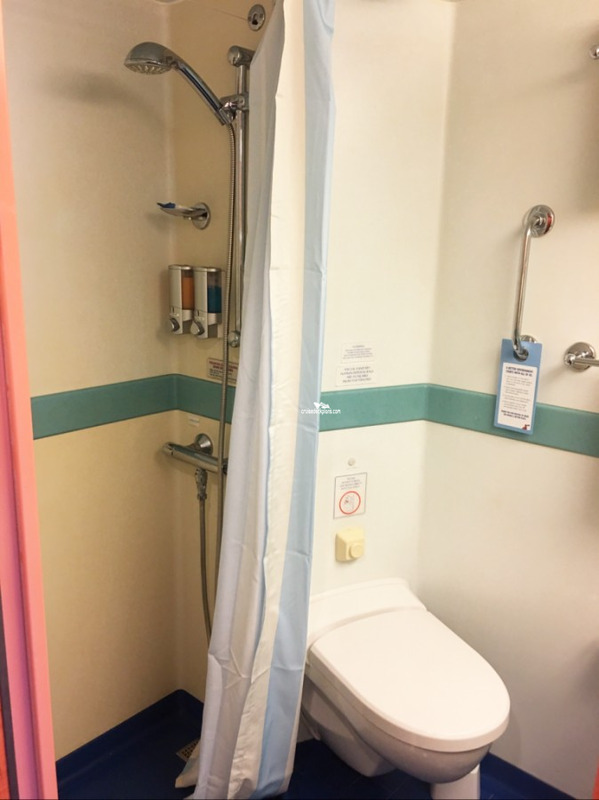 The bathroom has a roll-in shower, whirlpool tub, toilet and 1 sink; the suite does not have a walk-in dressing area with a vanity table, sink and chair nor a bidet in the bathroom. 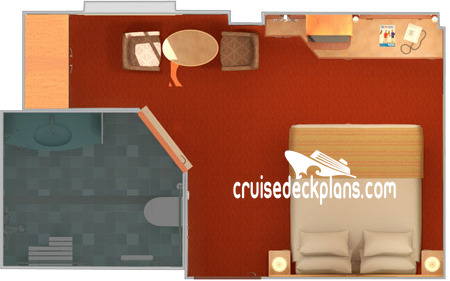 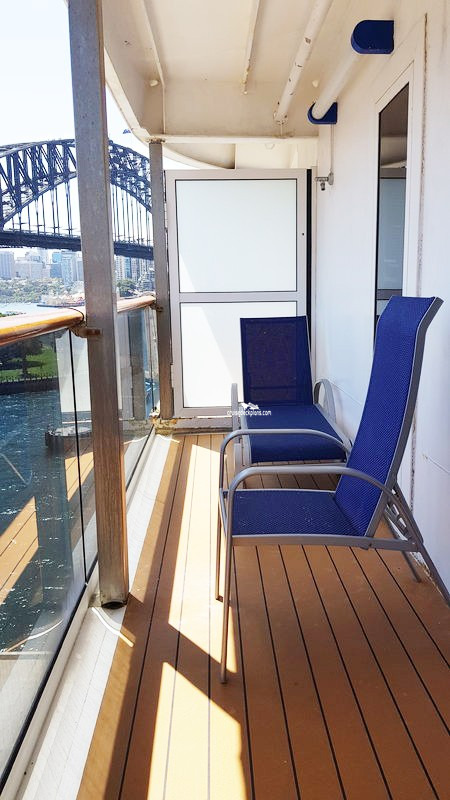 - Balcony with 2 patio chairs and table. 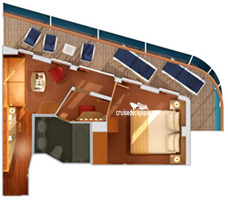 Category 4K has french doors that open to an obstructed ocean view. 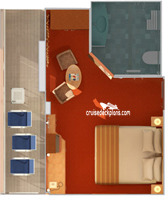 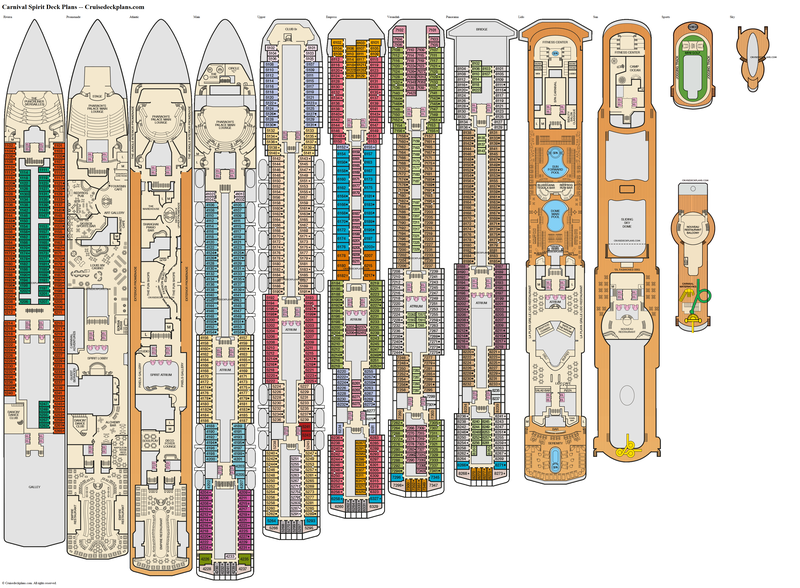 Disabled staterooms 4202, 4203, 4205 and 4207 have a picture window instead of french doors.